I agree with this analysis of the intended effects of the GOP plan as it stands now, but as Ruth says they keep changing it to accommodate our reps interests. Who knows what changes will be made before they vote on it. Eliminating business taxes and severely raising the progressive marginal tax rates sounds interesting. Theoretically, it should encourage business owners to plow business profits back into the business rather than taking it out as personal income. However, will businesses buy mansions, planes, cars, etc. then let the executives use these perks for free thus bypassing the personal taxes that would be owed if the money to buy these assets were given directly to the executives? There would have to be some way to monetize these perks and tax the executives on their value. Also, I’m concerned about the additional power this newfound money (from not paying taxes) would give the CEO of a company to spend on buying political influence that many shareholders might not agree with. Perhaps to use some of the excessive corporate profits in a beneficial way, since corporations benefit from our county’s infrastructure and economic environment, they should contribute to maintaining and building that beneficial environment through taxes specifically linked to these costs and by adherence to environmental and other regulations. Corporations and businesses should be held accountable for environmental damage caused by their production of goods. They should be required to take steps to reduce such damage or clean up the resulting damage, or be heavily fined if they are recalcitrant about cleaning up the environment they polluted. 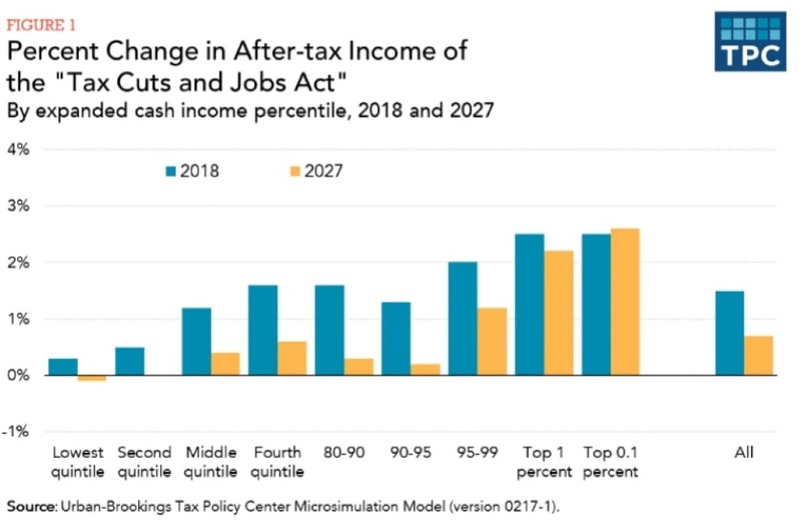 A wealth tax might be too abrupt a transition. The estate tax will have a similar effect over time. Personally, I am not too happy with government legislating minimum or any other category of wages. The overall concept is interesting especially the idea elements of it might be more appealing to the GOP. I’ll have to spend more time thinking about it. The devil, of course, is in the details. Untaxed perks are already an issue along with royalty-class privileges, so I share that concern. Company cars are (still?) considered taxable compensation so there’s some precedent to build on. I don’t know how we can limit political influence. Reversing Citizens United is essential but it’s a much bigger problem. It is an issue in its own right. I like the idea of taxes to deter and remediate environmental damage. The carbon tax idea I linked to toward the end of the post could be a good example. Your proposal about taxing inheritances as ordinary income is excellent. So simple! I have the same concern about a wealth tax — I was just wondering what we might do if replacing business tax with personal income taxes was too painful. My comment about raising the minimum wage was meant as a joke. Anyone who claims that lowering the tax on businesses will result in higher wages should be okay with doing it, but I don’t think they do believe what they’re saying. I look forward to your further thoughts, John. I think it’s necessary to simplify the code by removing almost all deductions and couple that with reducing the tax rates. The business tax rate should be 20% as it is in most countries and there should be no deductions. That tax should apply to all income. Much of the corruption in our government comes from the ability of congress to hand out tax windfalls to business. Business makes a contribution to a candidate and the business then gets their favorite tax deduction. All windfall tax breaks should be disallowed. The tax rates should be based on a proper budget that funds all the agreed upon expenses. Tax rates should rise or fall depending on how much revenue is needed to fund the budget. This suggestion will provoke lots of discussion about what to provide in the budget, but that’s the way it has to work. It will then be obvious what a war costs in dollars to our population. Now, we spend lots of money on things that benefit few people and the costs are hidden since we fund it with debt.